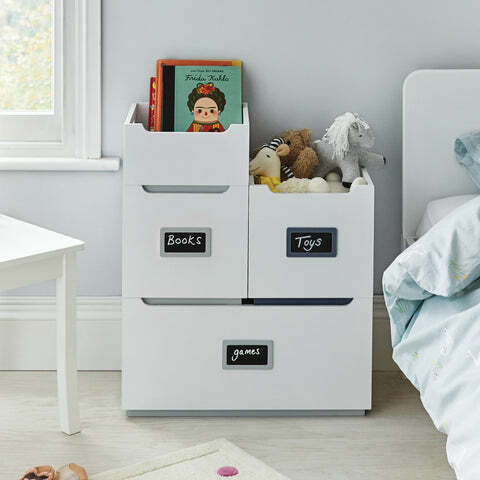 Barbican Toy Storage Box, Grey | Great Little Trading Co. Here's a contemporary classic in the making; we love the smooth lines and the touch of colour. 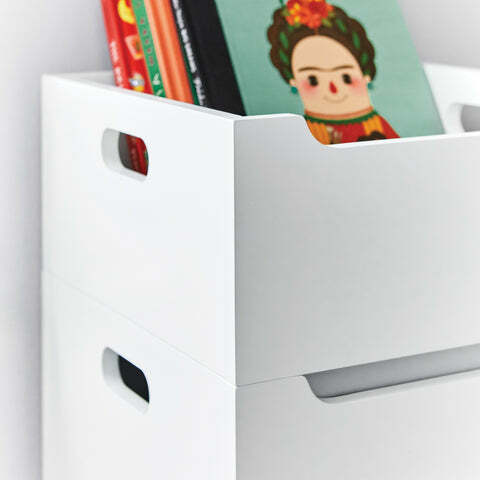 Stack these pieces on top of one another, or team up with the Barbican Storage Tray and the Large Barbican Storage for maximum clutter clearing. We know that furniture needs to be sturdy and safe with children around. So, we've designed and produced this range from top quality materials and rigorously tested it for use around children. For safety reasons please stack no higher than two of the toy storage units (plus tray). Includes cut out handles for easy lifting and moving. 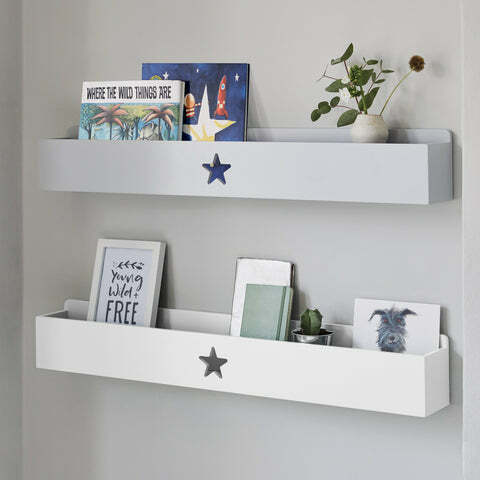 Convert bare walls into useful storage with our gorgeous Wall Shelves; they come in all shapes and sizes so there's something to to suit every space.